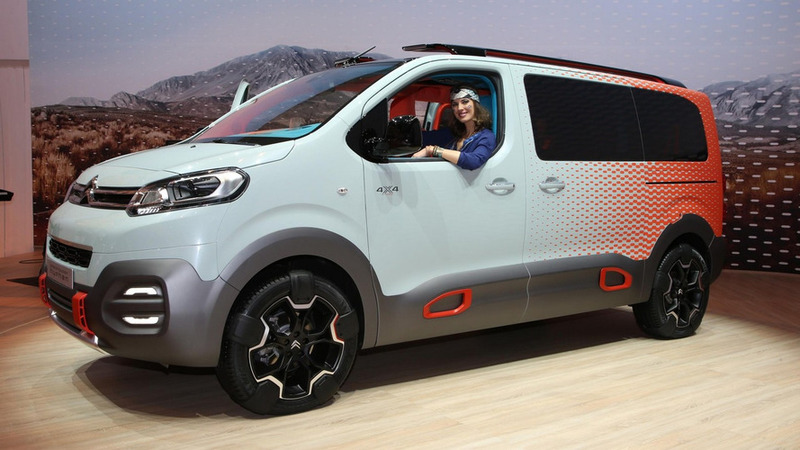 After an online reveal almost a month ago, the Citroën SpaceTourer HYPHEN concept has made its public appearance this week at the 86th Geneva Motor Show. Characterized as having a “supercharged design”, the one-off is the result of a partnership between Citroën and French pop group “HYPHEN HYPHEN.” The unique SpaceTourer adopts a multitude of splashy colors applied on a design that borrows cues from the company’s Aircross concepts. The end result is an MPV with crossover traits such as the increased ground clearance, plastic cladding and chunky 19-inch funky wheels. The concept was probably created to appeal the younger audience and has received a colorful interior cabin in the same vein as the body finish. Citroën has fitted the SpaceTourer HYPHEN concept with its familiar turbodiesel BlueHDi 150 four-cylinder connected to a six-speed manual gearbox. The engine benefits from start/stop technology and is paired to an on-demand four-wheel drive system. 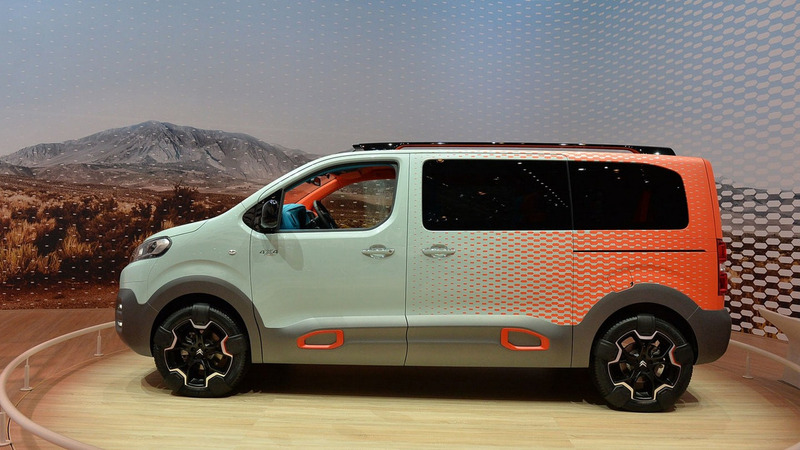 The concept is being showcased in Geneva alongside the regular SpaceTourer and its two sister models, the Peugeot Traveller and the Toyota Proace. These three MPVs are going to be assembled at PSA Peugeot Citroën’s plant of Sevelnord, in Valenciennes, France and will go on sale in the following months.